Can Tech Save Us From Being Sleep Zombies? When we hear the word technology, we immediately think of its negative effects on our health including our sleep. It is easy to get lost for hours on end when we are engaged on our tech gadgets, whether it is a handy smartphone, a multifunctional laptop or PC, or an equally addictive game such as Xbox or PlayStation. However, has it ever occurred to you that you can use technology to your advantage? It might seem incredulous to you especially if you have only seen the dark side of technology that has enslaved the human race but there are actually good technologies that help promote good health and uphold normal and healthy living for one and all. Have you heard of sleep technology? Well, it simply means the way it is, a technology used to enhance sleep and promote sleep health. They range from small high-tech devices like smartwatches and fitness trackers that monitor and regulate sleep to amazing bed and pillow technologies that can transform the entire sleeping experience. It is high time we do our body good and limit our exposure to dangerous blue light by supporting technologies that help us enjoy sleeping once more and enable us a higher awareness of ourselves so we don’t just easily fall prey to more common tech distractions that are so widespread right now. Technology is bad for sleep. It keeps us constantly exposed to an endless cycle of bad news, and the blue light emitted by smartphone and tablet displays suppresses our ability to produce melatonin. Combine that with the feelings of inadequacy generated by watching other people’s picture-perfect lives on social media, and it’s no surprise that we’re all restless. Sleep technology exists to solve this issue, and there were plenty of companies exhibiting new devices here at CES 2018. Many of them intend to tell you how well, or poorly, you have slept each night, in the hope you’ll make better decisions the following day. But, as well as becoming more commonplace, sleep gadgets are going to become far more diverse, at least according to what we saw at the show. Big and small companies ride in on the trend and release products that are meant to answer one aspect or as many issues pertaining to sleep health that ranges from cost-effective ones to the more pricey devices that only the rich can afford. The rising popularity of the Internet of Things made it easier for us to transform the entire home environment and make it more conducive to sleep especially when the lights go out and nature calls your body to rest and recuperate. Nowadays, you can buy virtually all sorts of gadgets you want as long as you can afford it. Many of these gadgets are not always endorsed by doctors but it is up to you to decipher what you think your body needs that you can easily integrate into your home. Officials unveiled the new SmartSleep headband at the CES conference in Las Vegas. The Philips SmartSleep features a mobile app that the company says responds to a person’s sleep patterns, using customized tones to boost the brain’s slow wave sleep to improve quality of sleep. Slow wave, or deep sleep, combines the third and fourth stages of non-rapid eye movement sleep, which some researchers believe aid in a person’s cerebral restoration and recovery. A lot of companies are joining in on the bandwagon now and wanting to get a slice the pie by releasing gadgets that aim to help people sleep better if not get back on lost sleep. 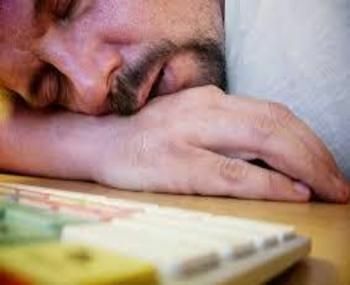 The demand is undeniable as statistics prove how many people complain about losing sleep each night and how their days are affected because they feel like they are lost in a sleep limbo. When you scour the market, you’ll see various sleep tech products that promise this and that or so much more. It is up to you to choose which ones fit your needs and most importantly, your budget. These products are mostly geared toward the general public because you need something more specific and stronger if you struggle with sleep disorders. While you are still deliberating your options with your doctor, using anti-snoring mouthpieces like https://snoringmouthpiecereview.org/good-morning-snore-solution and https://snoringmouthpiecereview.org/sleeptight are excellent band-aid solutions to conditions like sleep apnea and a good alternative to CPAP for patients who simply can’t tolerate being hooked to the machine in their sleep. With the right technology and used right, we can put an end to our sleep woes once and for all.